The east and north elevations of the Sears department store in Shoreline WA., April 2, 2018. Photographed on 5x7 inch panchromatic film. 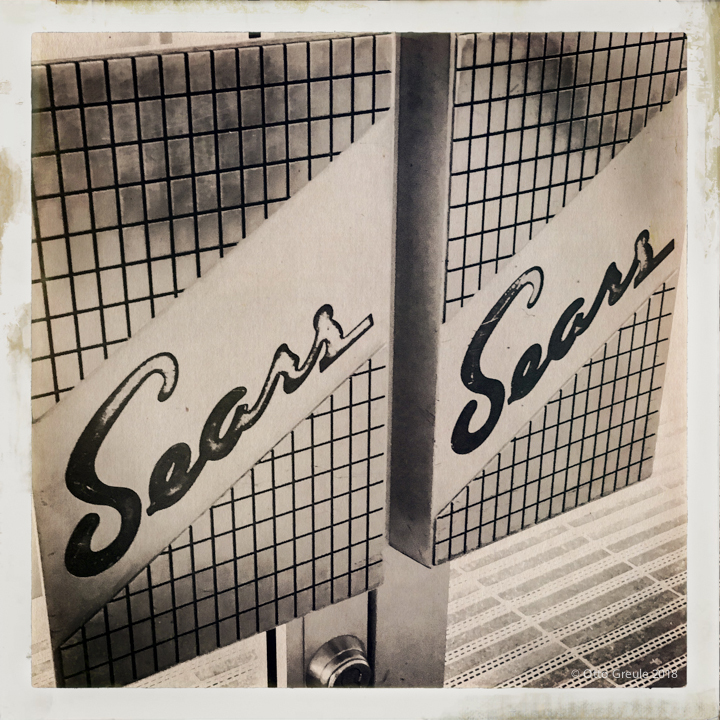 The eastern storefront photographed nine days later on April 11, showing the entry doors covered with brown paper, and the iconic "Sears" sign removed. 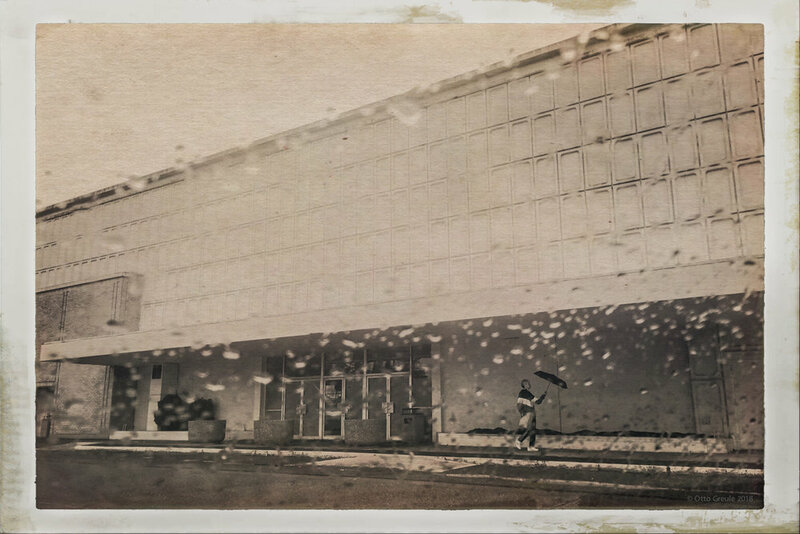 Shot with an iPhone through my car's windshield. 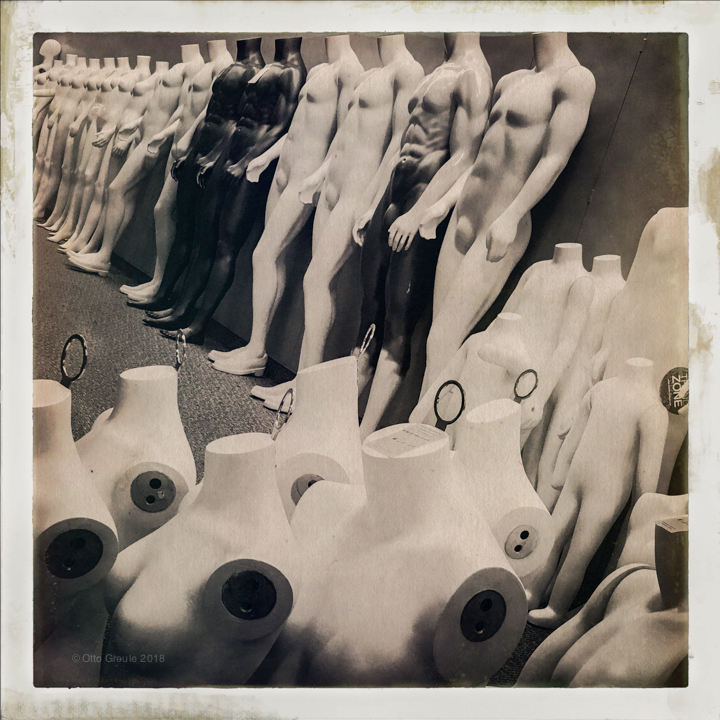 A lone worker stands amid the empty showroom. The Shoreline Sears opened in 1967. Interior door handles, east entry. 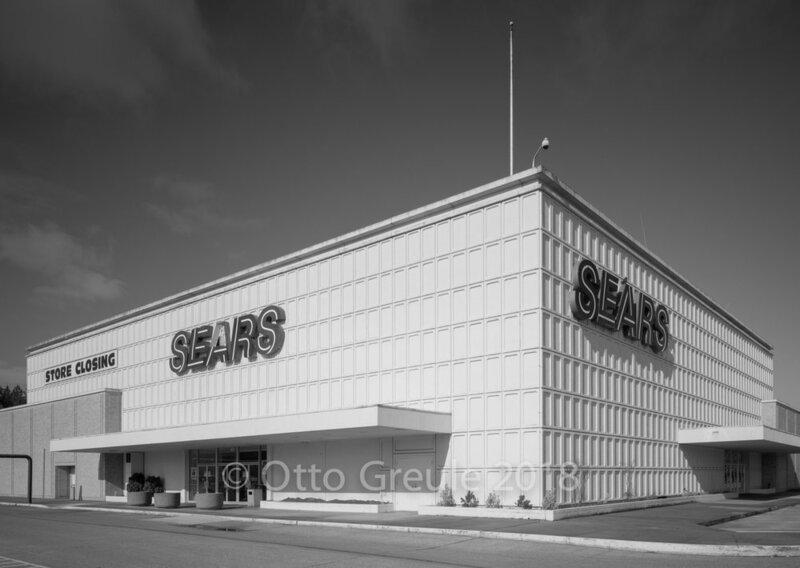 Ironically, Sears would meet its demise because of a reincarnation of what made the innovative retailer successful in the first place, the mail-order catalog. The modern day internet and on-line retail shopping model is in essence an electronic equivalent of how mostly rural America shopped using the Sears catalog during the late 19th and early 20th centuries.